Julian Assange can just open the door and walk away. The Ecuadorian embassy asks for help to solve the Assange-problem. 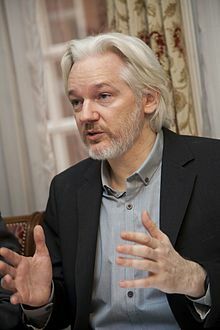 Julian Assange situation is initial caused by Swedish justice. Swedish justice has been very active to hinder common knowledge of the Mediterranean refill in it´s ambitions to impress on their nomination organisation, the Swedish government. That by the Swedish socialdemocratic government and justice chosen strategy has hindered common knowledge that will gain ethnic understandance and reduce conflicts. Most probably had the knowledge hindered the Syrian civil war. The evidencies for the refill 3500 B.C. has been rejected but are so conveneant that Swedish justice has qualified to a unbeatable position as the most corrupt justice in the world. That sets them in the position that swedish government and justice must continue to hinder common knowledge about the Mediterranean refill and it´s positive effects to almost every ethnic conflict. Swedish government and their authorities will be accused for 400 000 wasted syrian lifes. The initial resistance depends on that my scientific breakthrough is not compatible with my critisism of corruption among Swedish establishment well sanktioned by the ruling socialdemocratic party. They now has to continue the hinder the knowledge and hinder the peaceprocess. Swedish government has therefore chosen, as members in the UN Security Counsil and EU, to intriguet and sabotage the peaceprocess in the Middle-East. If british justice arrests Julian Assange they will seen as enjoying to the most evil terroristcell in the world, Swedish justice and government. 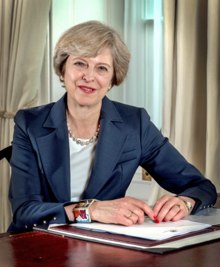 Theresa May:s government will not survive such a misstake. Julian Assange can just open the door and walk away as a total free person and the media-profile that made human most formative catastrophe to common knowledge. Julian Assange can just walk away. Theresa May must let him.